The survey closed on April 15. Thank you for providing your feedback. Staff are now compiling the results from the initial public consultation and they will be presented at the April 29 Council Meeting which starts at 6 pm in the Municipal Hall Council Chamber. Emails and letters on this proposal can continue to be sent to Mayor and Council (mayorandcouncil@westvancouver.ca or 750-17th Street, West Vancouver, BC, V7V 3T3) even after April 15. Any emails and letters received up to noon on the day of the Council Meeting will also be provided to Council at the Council Meeting for their consideration. As mentioned previously, if you would like to meet with District staff to discuss this proposal or ask questions, please contact Jenn Suggitt at jsuggitt@westvancouver.ca or 604-921-2939 to arrange a meeting time. The District has been conducting initial public consultation on the District’s proposal for its site at 2195 Gordon Avenue since early February. Staff are currently anticipating reporting back to Council with the results of the public consultation in around late April/early May. With this anticipated timeline, the District is able to extend the public consultation period, and the District’s survey deadline is being extended to remain open until Monday, April 15 at 4:30 p.m.
Council has directed that this initial public consultation take place on the District’s proposal. Council and staff welcome all input on this project, including about the proposal itself, or other potential ideas, considerations and uses for the site. In 2014, the District acquired the site at 2195 Gordon Avenue for $16 million. The site is 76,500 square feet (or 1.76 acres) and is directly north of the West Vancouver Community Centre and south of Pauline Johnson Elementary School. Council is proposing to use the site to create housing, increase rental supply and improve affordability while generating $20 million in revenue, and with no ongoing cost to the District. 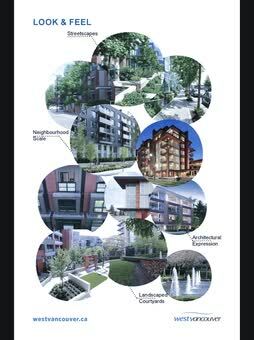 To achieve this, the District would long term lease / sell the site to a third party that would then construct the buildings, operate the rental component, and long term lease / sell the strata condominium units. The public consultation will take place from February 7 to April 15, 2019. All three of the Initial Consultation Meetings will have the same format, with the exception of the Q &amp;amp; A session from 7-9 p.m. on February 20, 2019. In addition to the Initial Consultation Meetings listed above, we are also offering an opportunity to meet with District staff in small group sessions to ask questions and learn more about the project. If you would like to meet with staff in a small group setting, please contact Jenn Suggitt at 604-921-2939 or jsuggitt@westvancouver.ca. District staff are hosting several pop-up information sessions. Follow @WestVanDistrict on Facebook and Twitter to get notified when they are happening. The survey closed on Monday, April 15 at 4:30 p.m. Thank you for providing meaningful input on various aspects of the project. Our community is facing unprecedented housing affordability challenges with some of the highest rents and housing prices in Canada. We have very limited rental housing, and have one of the lowest vacancy rates in the region at 0.6%. People are leaving our community, and West Vancouver (and the Village of Belcarra) are the only municipalities in Metro Vancouver to have decreased in population between 2011 and 2016, while the region grew by 6.5%. The share of children under the age of 14 has fallen from 30% of the population in 1961 to 14% in 2016. There is a “missing generation” of younger adults without children between the ages of 25 and 34, accounting for only 2% of the population. Our high housing prices, limited housing supply, and demographic challenges affect our community in many ways: reduced population and imbalance; more people commuting to our community every day to work or attend schools, resulting in increased traffic and GHG emissions; reduced local workforce; and reduced services and increased costs for services in our community. Council has requested that staff proceed with public consultation and present two possible building forms for feedback. After the public consultation, staff will report back to Council with the results of the public consultation in April to May 2019. Council will then decide whether to: proceed as proposed; take a different approach; or conduct more public consultation. I’ve heard that the rental housing would be for municipal employees only. Is that true? Is the District providing subsidized housing? Is the District going to own and operate the housing? What is the maximum amount of revenue the District could achieve from this site?